Our Colosseum and Ancient Rome Adventure brings all the family around Ancient Rome's most iconic places, while having so much fun together! You will get a specialized guide in touring with kids, so that they will feel involved and entertained the whole time. Learning will never be so fun! You will enter the Colosseum with special skip the line tickets, thus avoiding crowds and stress. 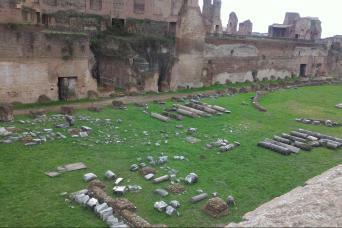 Then you will head to the Forum-Palatine area, where you truly discover how everyday life was in Ancient Rome. Ready to have a great time? 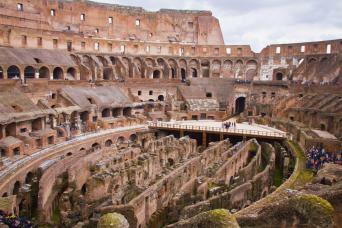 Book our Colosseum and Ancient Rome Adventure now! 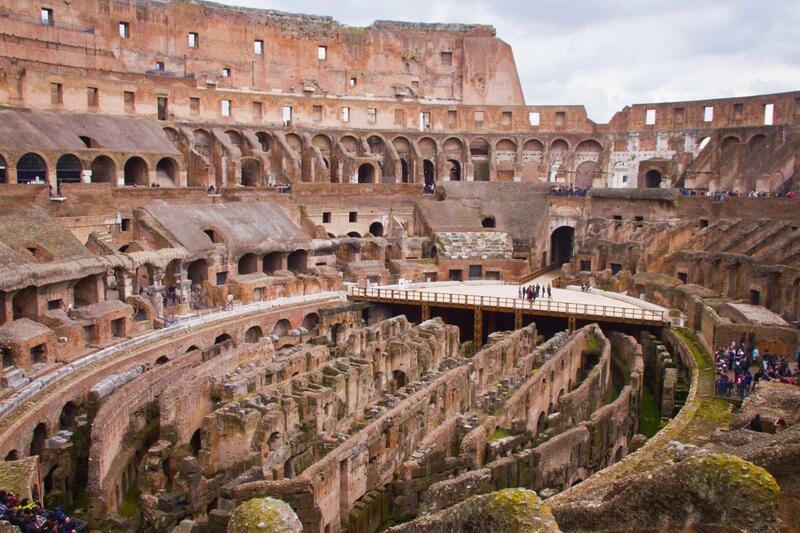 Our Colosseum and Ancient Rome Adventure brings you to the cornerstones of Ancient Rome. Not only will it be interesting, it is also conceived specifically to make your kids the very core of the tour. They will be engaged throughout the tour thanks to our kid-friendly guides. We know that traveling with kids may get a little tough sometimes, and we are very careful in giving them the best tour experience possible. We take their entertainment into great account. 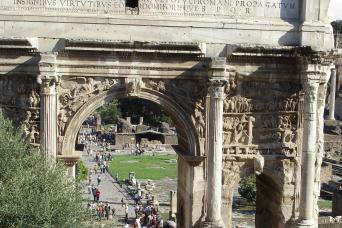 Your fabulous family tour will start by the arch of Constantine, where you will meet your guide. Thanks to our special pre-purchased skip the line tickets, you will get into the Colosseum with no rush since you will get priority entrance. It will really look as if time had turned back and your kids will really feel like little Gladiators. The Colosseum will leave you breathless. It is the largest amphitheatre ever built, and you will be really impressed by how well-preserved it i. Its construction began under the emperor Vespasian and was completed under his successor Titus. Further modifications were also made under Domitian. Since these three belong to the so-called Flavian dynasty, and the amphitheatre was named Flavius after thei dinasty. Do you want to find more out? Don't be shy; ask your guide! Next, you will head to the Roman Forum. It is a rectangular square (in Latin "forum", indeed) surrounded by the ruins of several government buildings even dating back to the very first years of the Roman Kingdom. 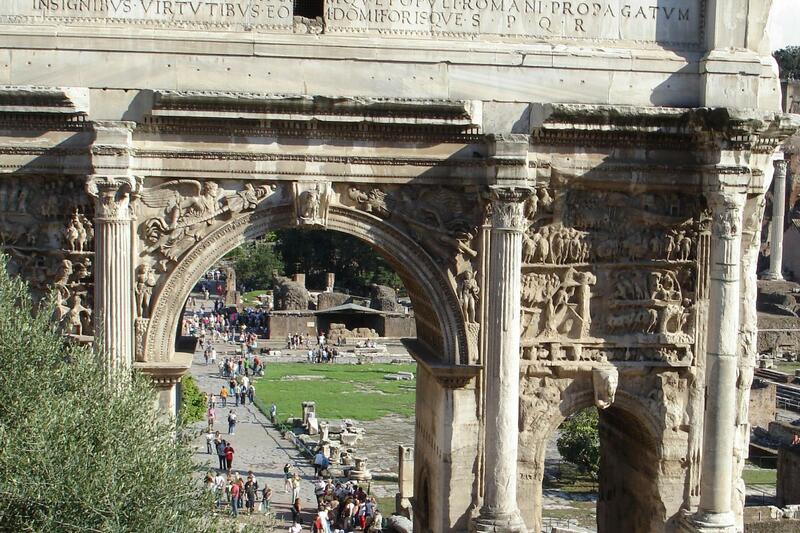 Originally it was a marketplace, which made it the core of Ancient Rome's everyday life in general. It was also known as the Forum Magnum, which means the "Big Forum". 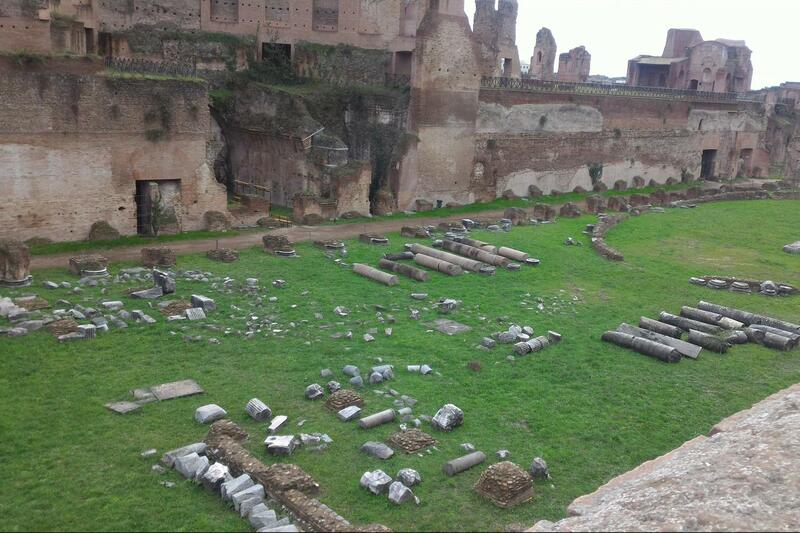 Your tour will end visiting the Palatine Hill. It is the most ancient part of the city, with Rome itself having its origins right there. In the Imperial Age, it became the residencial area of the upper class, with Dominitian building his gorgeous palace there. Throughout the tour, your guide will use devices and visual aids to show you how those areas originally were while explaining the most interesting facts about them. Your kids will simply be catched by their words for the whole time. Learning can be such a fascinatinf affair! Traveling with your family can be the best experience in life. We really want your tour with us to be so, and we work for that. So book our Colosseum and Ancient Rome Adventure and be sure that we will arrange for you the most amazing family tour ever!